It was a bleak day for action cam maker GoPro, as the company said it planned to axe about 7 percent of its workforce on lower than expected fourth quarter sales, an announcement that sent shares tumbling. GoPro expects quarter four 2015 revenue to come in at $435 million with non-GAAP gross margins set between 34.5 and 35.5 percent. The number is lower than analyst projections of approximately $511 million, reports Bloomberg. The company expects to bring in $1.6 billion for the year. Contributing to last quarter's poor performance was the underwhelming launch of GoPro's Hero4 Session, a shrunken and stripped-down version of the company's popular Hero cameras. The device's small size came at hefty premium —costing as much as a Hero4 Silver but with fewer features —that didn't sit well with consumers. After just three months on the market, GoPro slashed Session pricing by $100, later trimming another $100 off list before the holidays. 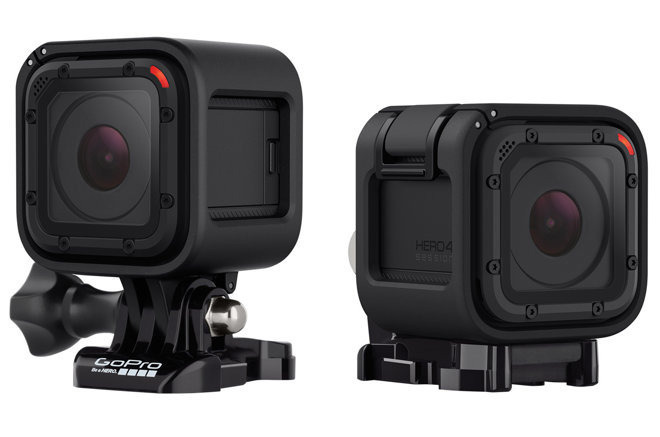 GoPro is eating a $21 million charge as a result of this drastic price reduction. GoPro is in the process of restructuring and will cut 7 percent of its current workforce to "better align resources to key growth initiatives." The company said its employee headcount has ballooned by 50 percent annually over the past two years and now stands at more than 1,500 people. Restructuring efforts will ultimately cost the company between $5 million to $10 million in the first quarter of 2016, with much of that sum going to severance pay, GoPro said. Aside from GoPro's sour financials, SVP of Entertainment Zander Lurie is departing to replace former Hewlett-Packard executive Bill Veghte as CEO of survey firm SurveyMonkey, Re/code reports. Both Lurie and Veghte will take seats on the boards of the companies they are leaving. Today's news sent GoPro stock prices tumbling. At the time of this writing shares were down 25 percent in after hours trading and well below its $24 IPO price, sitting at $11.02 after closing the day at $14.61. As Bloomberg notes, GoPro shares plummeted 72 percent over the course of 2015, shedding nearly $10 billion off the company's market value from a high of almost $12 billion in October 2014.